Tonight on NBC America’s Got Talent returns with an all-new Wednesday, September 7 episode and we have your America’s Got Talent recap below! On tonight’s AGT Live Results Show Only five of last night’s performers will move on to the Finals. Did you watch last night’s episode where eleven contestants performed to get one of the five spots available to move on to the finale? If you missed it don’t worry we have you covered with a full & detailed America’s Got Talent recap of last night’s episode, right here! Make sure to bookmark this spot and come back later for our America’s Got Talent Results Show recap from 9PM – 10PM ET! Refresh often so you get the most current info! While you wait for the episode head over and check out all our AGT spoilers, news, recaps & more! 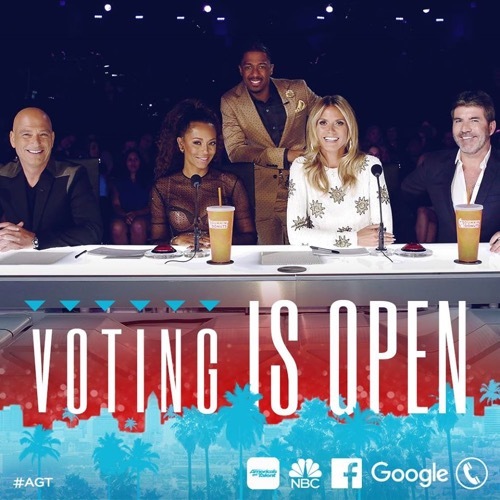 Tonight’s “America’s Got Talent: Live Results 5” show will reveal the voting results for eleven of the contestants. Only five semi-finalists will continue on to next week’s finals to compete for $1 million and their own show in Las Vegas. Tonight’s “Dunkin’ Save” contestants are Sofie Dossi, Steven Brundage and Viktor Kee. The first act that will be continuing on to the finals is The Clairvoyants, while Kaden Bart Rocket and The Passing Zone are eliminated. The next contestant to receive enough votes to continue on to the finals is Brian Justin Crum. Both Kadie Lynn and Calysta Bevier were sent home. Linkin’ Bridge is also continuing on to the finals, while Jayna Brown is eliminated from the competition. Tonight’s “Dunkin’ Save” pick is Sofie Dossi. After a tie, tonight’s judges’ pick is Viktor Kee, while Steven Brundage is sent home. After the voting results were revealed, the five contestants who will continue on to the semi-finals for a chance to win $1 million and their own show in Las Vegas are The Clairvoyants, Brian Justin Crum, Linkin’ Bridge, Sofie Dossi and Viktor Kee.